John Carreyrou is a member of the Wall Street Journal's investigative reporting team. He joined the Journal in 1999 and has been based in Brussels, Paris, and New York for the paper, winning two Pulitzer prizes. John has covered a number of topics during his career, ranging from Islamist terrorism when he was on assignment in Europe to the pharmaceutical industry and the U.S. healthcare system. His reporting on corruption in the field of spine surgery led to long prison terms for a California hospital owner and a Michigan neurosurgeon. 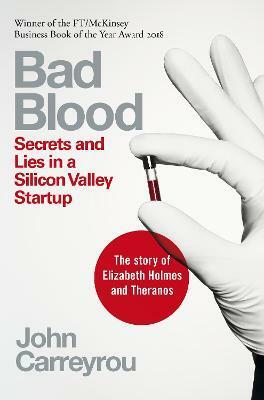 His reporting on Theranos, a blood-testing startup founded by Elizabeth Holmes, was recognized with a George Polk award, and is chronicled in his book Bad Blood: Secrets and Lies in Silicon Valley.